The meaning of the name Catori is Spirit in Native American cultures. I chose this as the first in my paranormal suspense series because the basis of the tales and folklore in the cultures is often a tale of a spirit guide, a special animal that comes to an individual to guide and protect during certain times in life. A person can be visited by a Catori several times or by different Catoris, depending on what is happening in the individual’s life. 2. 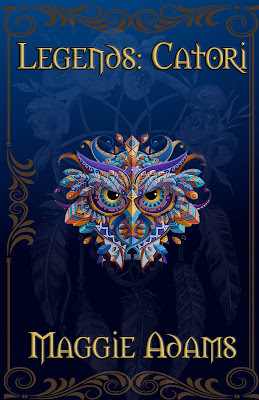 Why is the Owl Spirit in the first book? 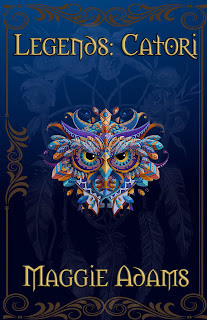 The Owl spirit animal represents the wisdom to pick up on ideas that have eluded us. 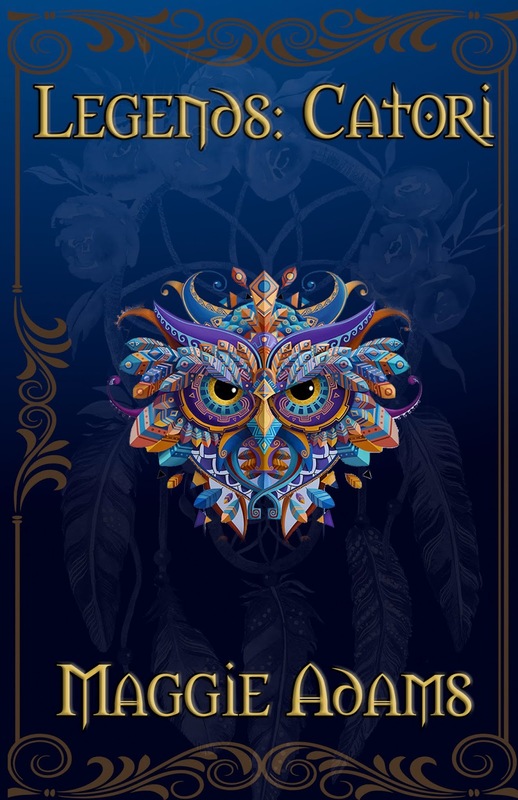 It also can be a reminder to let go of the past in order to see the present and future clearly (owls have the ability to turn their heads completely around and adjust their eyes from telescopic to microscopic in an instant; hence, the vision to see all). The Owl spirit represents the ability to “see” the “true” spirit or character of a person. This enhances the wisdom of the owl to differentiate between what is truth and what is a lie. 3. Where do I come up with this stuff?? I was lucky enough to grow up listening to the legend of the Piasa Bird, aptly named by the Illini tribe. It was a fierce monster, part human, part dragon, that was said to prey on young children until a mighty warrior defeated it. A picture of Piasa is painted on the bluffs near my hometown in Grafton, Illinois. I knew I had to include it when I began writing the Tempered Steel Series, as it was set in Grafton, but it wasn’t until I began to research the Piasa legends that I came up with the idea to write a romantic suspense series with a paranormal twist, featuring the legends of the spirit animals and the folklore handed down to the generations. 4. What’s the big deal about being the Wisdom Council’s leader? Frankie Cavanaugh’s father, Leonard, was the leader of the Wisdom Council, the wisest owl shifter in the area. The Council itself is made up of many kinds of shifters. It is basically where the shifters came for disputes among other shifters in the area or even the world because of the Council’s unyielding search for the truth and their impartial verdicts. It’s a big responsibility for any shifter. Added to that, Frankie’s bloodline mutates every generation. In other words, since her father is a shifter, she doesn’t shift, but her child will. So, she is a human with shifter blood, who can’t shift, and is destined to lead the Wisdom Council. She’s also the only child born from the mating of a Council leader and a pure human, as the others have chosen mates with shifter blood. Many shifters feel she isn’t a true heir because she was born from a human. That makes her a prime target for a killer’s revenge, as the list of possible suspects is immense. Marcus Davis, the cold as ice head of a human slave ring comes back into Jonas Blackshire’s life, ready to settle the score, but he isn’t the only one looking for revenge. It looks as if Tanner, Frankie, and Jonas are outnumbered…but are they outmaneuvered? Read the book to find out, or if someone doesn’t make it out alive. BTW Cold as Ice is the last book in my Tempered Steel Series where I introduce Jonas and Marcus and why they hate each other.